Did you know that a well should be tested annually for nitrates and coliform bacteria? Even when the well is properly maintained a number of environmental factors can plague your home’s well water, contaminants can cause illness or issues with the home’s plumbing and appliance systems. We are serious about your water. We know the “very hard” water in Las Vegas contains a large amount of added minerals in it. 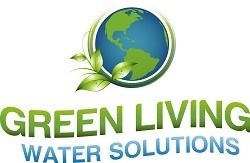 Learn about your water and what’s exactly in your drinking, bathing, washing and sink water with a free water test from Green Living Water Solutions.